To keep your coffee free from hard water mineral deposits and other impurities, it is important to clean your Braun coffeemaker monthly. The taste of your coffee depends on how clean the coffeemaker is. In the time it takes to brew a few pots of coffee, you can have a clean appliance, ensuring delicious pots of coffee every time. Regular cleaning can greatly extend the life of a coffeemaker. Mix 2 tbsp. of white vinegar with 4 cups of distilled water. Pour the mixture into your Braun coffeemaker water reservoir, then turn on the machine. Run a complete cycle as if you are brewing coffee. 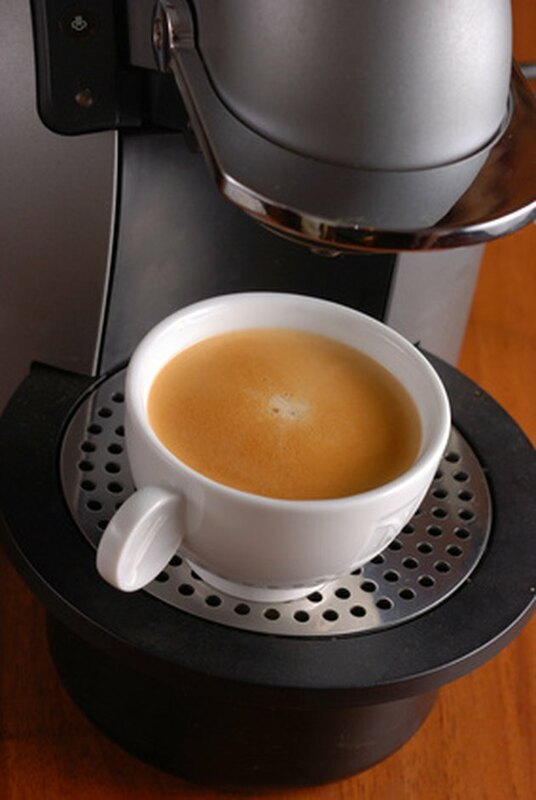 When the cycle is complete, turn off the coffee maker and allow it to cool for about half an hour. Rinse the coffeemaker by pouring clean, cold water into the water reservoir and running the brewing cycle three times. Allow the water to cool between cycles. Wash the coffee pot and mesh filter with warm water and mild dish detergent, and rinse well. Wipe the heating element at the base with a cloth dipped in white vinegar. Wipe the exterior of the coffee maker with water-dampened paper towels. Repeat steps 1-5 monthly to keep your Braun coffeemaker clean.